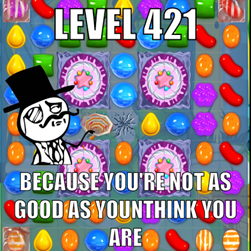 You are here: Home / Most Difficult / Level 421 – You must be joking! Wow Level 421! By about now you’ve long left behind all of your ‘normal’ friends and are possibly feeling somewhat smugly ‘expert’, why not! You’ve crushed your way through a tonne of candy, created every combination…in triplicate, beat whirlwinds and tornadoes, defied all-consuming chocolate squares, cleared Jelly in unreachable areas, made mincemeat out of pizza and unlocked wired in juicy bits…how hard can it be to pair up 7 striped candies? How hard indeed? I am convinced level 421 was placed strategically here to crush any potential weakness, and make anyone who has held out on an in game purchase finally cough up. It has a way of saying “Here’s a great big pin, I’m going to pop your bubble and let you come back to earth, you’re not really as good as you think you are”. Well to be fair you’ve made it this far you must be pretty good, but the combination of those ‘darling’ tornadoes and that ‘sweet’ exploding pizza poised perfectly to wipe out your progress is enough to send anyone a little bonkers. Enter into this stage with a stash of extra moves in your inbox, you’ll need them. This is the level you realise there is actually skill involved in this game, foresight is everything and that developing and implementing strategies is essential. 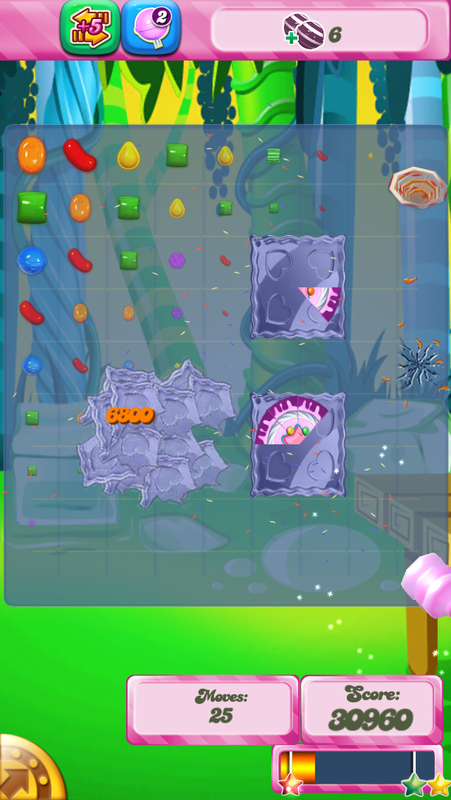 You will need to visualize where the candies will fall and what consequences every move has. There is nothing like accidentally clearing a pizza and setting off a board clearing hammer. Plan your attack before you begin, with only fifty moves available every one of them has to count. 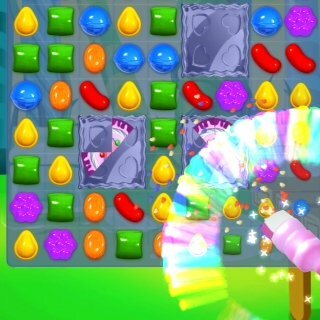 You will need 21 moves alone to create each pair and explode them, leaving only 4 moves to set up each striped candy combination, which may sound like a lot but with a pesky tornado and four exploding pizza poised to wipe off all your hard work any second, this board is tricky! These mini whirlwinds or tornadoes are sweet little things…if you love chaos and destruction that is. Very rarely one will land exactly where you need it to, but more often than not it will touch down just as you are about to line up ‘the perfect move’ and not only will it destroy that candy but it will move on and leave that space dented, cracked, broken and unusable until the next move is completed…did I mention how cute these things are? They can be destroyed by a blast but do return a few moves later to spread their endearing qualities a little further. 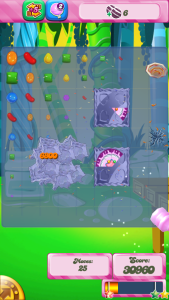 So to beat level 421 you pretty much have two options, work the inside to remove the pizza squares quickly and cross your fingers the packets of striped candy remains intact. Or try and break this Jellied candy free by working the outside and high tail them to the bottom to join up before cracking the pizza free, therefore starting with at least with two combinations down and only 5 to go. Either way it is a process that needs careful consideration. Chocolate freckles are great for increasing the likelihood of nailing four in a row, but then again so might crossing your fingers and wishing upon a star. 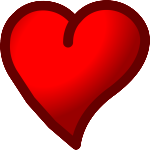 There seems to be a lot of luck involved in this game, especially once you have come this far!